Docker is an emerging open-source container technology that is redefining the constantly shifting IT landscape. Docker enhances the way business enterprises package, deploy and manage their software applications. Globally, enterprises are being influenced by the endless opportunities Docker promises. In addition, large software companies such as Google and Microsoft are exhibiting keen interest in Docker, making it a hot topic of discussion among the DevOps community and other IT groups. This blog post will help educate individuals and enterprises about setting up a private Docker registry that will run from its own backyard. Technology news websites and discussion forums feature extensive discussions of Docker images and containers. The concept of containerization is widely viewed as the future of software development. Hence, greater emphasis must be placed on the security implications of adopting Docker. Enterprises need to ensure that things are in the right place, so that the Docker images are safeguarded using their own private infrastructures. These security concerns drive the concept of the Private Docker Registry, which enables enterprises to store/upload images and access them later utilizing secure authentication methods. Any DevOps professional working with Docker containers will have come across three important use cases: ‘pull an image’, ‘push an image’ and ‘delete an image’. Let us begin by discussing each use case in detail. Generally, when an end-user requests a Docker image from the index, that request would return the response along with registry details forming a chain. Moreover, the Docker client requests the registry internally, so pulling a Docker image involves a combination of index, client and registry modules. When an end-user requests the Docker index to obtain registry information in order to push an image, the image has to be directly pushed into the registry. As it is a private Docker registry, it will authenticate the user and respond accordingly to the user request. Deleting an image is also performed from the Docker repository; however, it is important to note that deletion of images does not require the Docker index, as the index is generally used to store private Docker images. What are the Docker Index and Registry? Before we initiate the process of setting up a private Docker registry, let us understand the Docker index and registry. Basically, the Docker index has the registry information, whereas the Docker registry internally authenticates the user with the index and responds to the user. The process for installing and running a private Docker registry follows below. In the use case below, we used an Ubuntu 14.04 machine. Thus, the commands that are frequently used in Ubuntu, such as apt-get, have been utilized for installation. In order to install Python on the Ubuntu system, use the code below. The Docker registry comes with a default config_sample.yml file. Make sure you copy the config_sample.yml file to config.yml to create basic configuration. To run the Docker registry in a secure manner, we have used the Python Web Server Gateway Interface (WSGI) HTTP server. 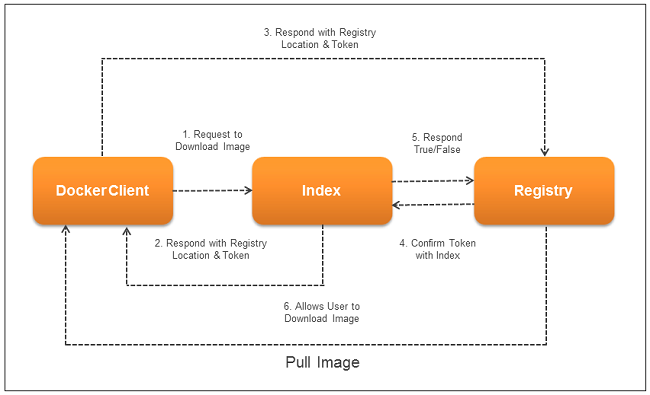 The key steps in deploying index components and registry from GitHub follow. Index components include Nginx and Apache-utils for password authentication. Docker registry and Python can be installed from GitHub. Let us now figure out how to enable Nginx to use the authentication file to forward requests to the Docker registry. The steps below would help users configure Nginx with Docker Registry. The steps below enable users to ascertain if the actions have been performed correctly. The steps above will confirm the Docker registry is secure and password-protected. Create a file that will host the server for data encryption, which is the final step to setup the SSL on a local machine. Once all the above commands are executed, a certificate signing request is made. To avoid any signature-related errors, please ensure the ‘Common Name’ field is correctly named (Server name). Correspondingly, a known authority must sign the self-signed certificates, in order to confirm the certificate is legitimate. The instructions below will help users push images to the newly created private Docker registry. Users are prompted for the credentials; the result will be displayed on the screen. This post certainly covers all the aspects of setting up of a private Docker registry. Users can pull and push images to the Docker registry using this blog post as a reference. Docker registry V1 has the ability to store images and graphs for a set of repositories; however, it does not have a notion of user accounts or authorization. Moreover, Docker registry V1 only delegates authentication to the Index using tokens. Additionally, there are a few drawbacks in this version, which are addressed in their new version 2.0. Docker registry version 2.0 simplifies image definition, improves security and decreases the probability of backend corruption, which future posts will discuss. The primary agenda for setting up the Docker registry is to distribute code/images among the authenticated coders to have it reviewed, and to use the images across the team or enterprise. Additionally, users can always upload their Docker creations to Docker hub, for free. Today, however, enterprises are keen on implementing the private registry, so images can be maintained in a secure manner. Rakesh Krishna Madari was a Senior Technical Associate at Evoke Technologies. He was part of Evoke’s R&D team and was exploring DevOps technologies in order to make IT operations more efficient. 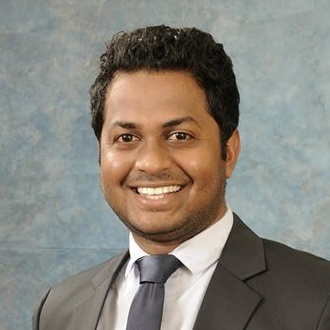 He has hands-on experience in continuous integration, configuration management tools etc. Rakesh was primarily focused to enable enterprises adopt DevOps. This is the only time I see someone trying to setup a registry not as container. Also no one is using V1. Firstly, thank you for taking time to post your comments. Responding your comments, we had a requirement within our organization to setup a local private registry, which would help us pull/push and share the Docker images locally among senior developers and architects by granting access to the private registry. I completely agree with you that there are two ways to create a Docker registry, one is as a package and the other is as a container. However, I have come across multiple blogs with an opinion that monitoring Docker registry as a container is a bit tricky, as it needs to be run using upstart scripts and configuration changes; whereas the Docker registry package just needs to start the service and keep the port open so that it is accessible. In this post, I have created Docker registry as a package and set up a private registry. However, I would be publishing another post with Docker registry V2 shortly. Hope this helps, please feel free to reach out if you have any questions or queries.